The Pixel 2 has the Android world abuzz right now. If you pre-ordered Google's latest phone(s), then you might be in the market for a case. While there are plenty of great options out there, few have drawn as much attention as the Moment photo case. Not only do you get a protective shell for your shiny new toy, but it also supports attaching Moment's wide-angle lens. Right now, the company has two sales going on to help you save some money on some of its products. Being the smaller of the two, the first deal you can see in the image above. Basically, you can get the photo case and lens pen for $30 plus shipping. 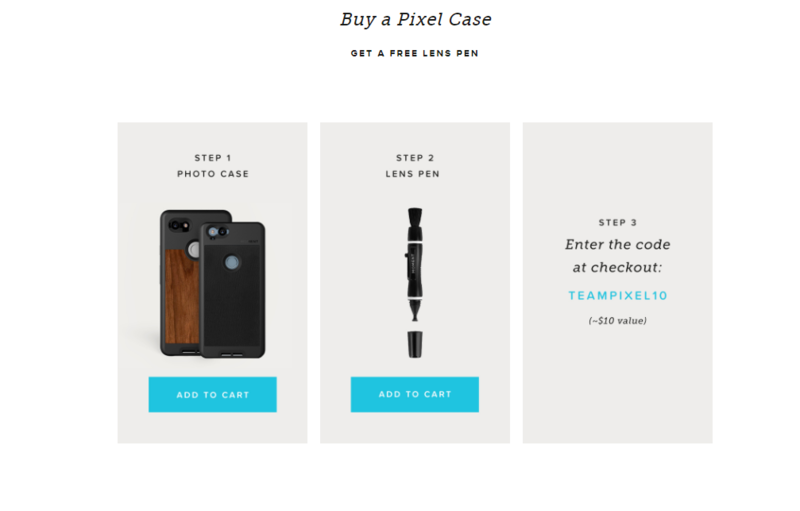 That means that the pen is free, once you apply the code TEAMPIXEL10 at checkout. This one is neat and all, but it's the second offer that is most interesting. Here, you add the photo case ($29.99) and the wide-angle lens ($99.99) to your cart, followed by the lens pen and a case or pouch for the little guy. Type in the code TEAMPIXEL30 at checkout, and you'll see the total price for everything fall to $119.99, saving you $40 off of the whole bundle (the photo case drops by $10; the pen and lens pouch/case become free). For reference, just the photo case and lens from the Google Store will run you $129.99. If you wanted to try out Moment's setup, now's the time. Getting the entire latter bundle (plus some) for $10 less than what Google is selling it for is a good deal, if this sort of thing appeals to you. Hit up the source link below to get started and don't forget to use the coupon codes! Moment reached out to let us know that the $10 getting knocked off the case, making the final total $119.99, was a bug and they have corrected it. 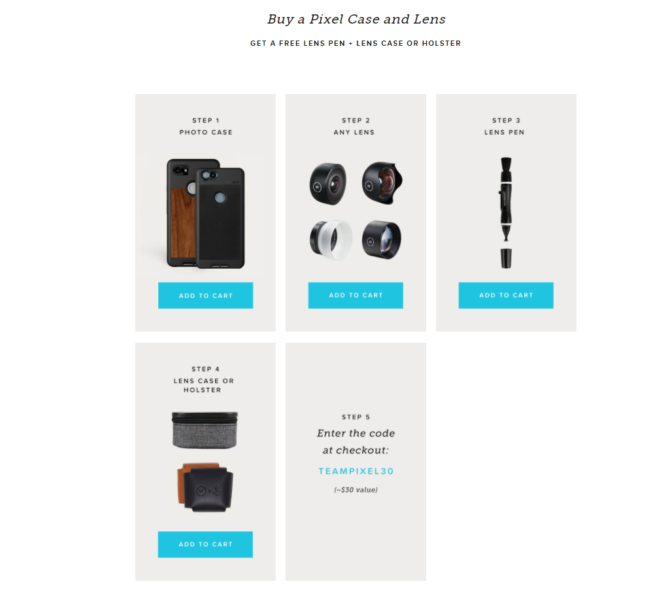 The bundle now runs you $129.99, the same as what Google offers, but with the free lens pen and lens case. So if you weren't lucky enough to catch the error before it was fixed, at least it's only $10.